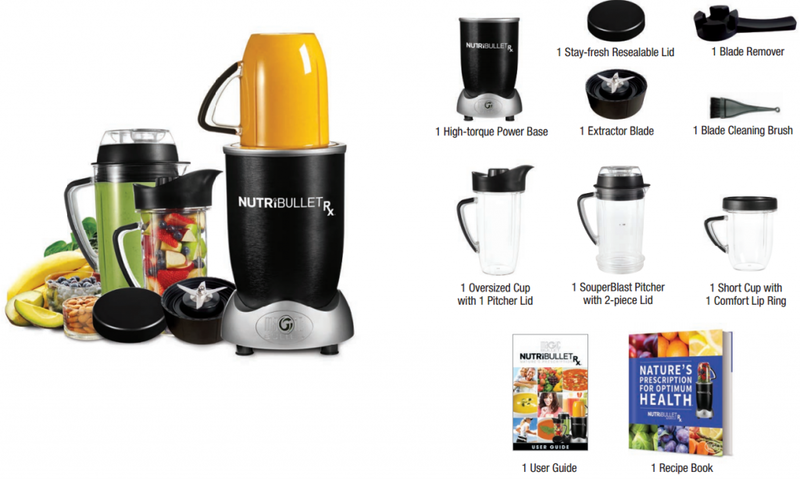 Nutribullet has made a name for themselves with their line of personal blenders. Their top of the line product, the Nutribullet Rx, is truly can be said to be the best personal blender ever. Before this, I’ve reviewed the Nutribullet Pro 900 (you can read the review here) and feel that it is a lot of bang for your buck. At around $100, you are getting a very good personal blender. 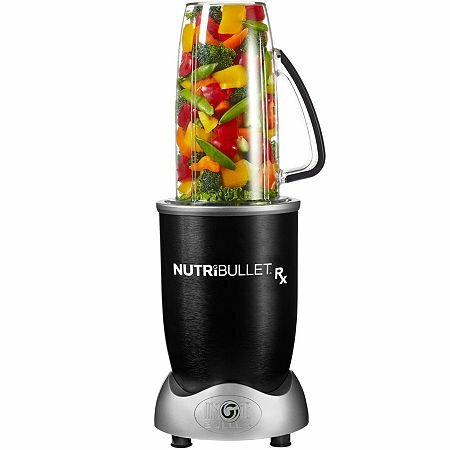 But if you are looking for optimum blender performance and money is not an issue to you then this Nutribullet Rx is just for you. Continue reading to find out how great this personal blender is. Look at the accessories, Nutribullet is definitely very generous in giving it’s customers numerous pitchers and items that are useful. It reminds me of the Nutri Ninja Blender Duo with all these numerous pitchers. Compared to the big brands (Vitamix, Breville, Blendtec ) they are quite stingy about these things even though their selling price is easily twice or thrice the cheaper brands’ price. 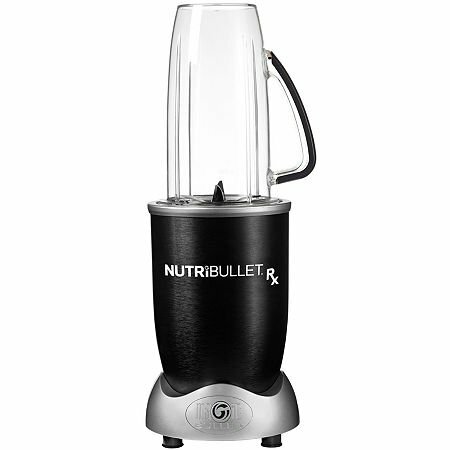 The main component of the Nutribullet Rx is its whopping 2.3 horsepower/1700 watt high-torque motor. It’s definitely something really. These kind of motor power can normally be seen in professional grade blenders like the Vitamix Professional Series 750, Breville Boss or the Blendtec Designer 625. With it’s high-torque motor, the ingredients of inside the Nutribullet Rx will be broken down to almost a liquid state. This can be achieved as the pitcher size is quite small (compared to traditional blender) and so the pulverizing action of the blade will be able to affect the whole ingredients inside it. This is behind the principle of Nutrient Extraction that you often hear Nutribullet talks about. 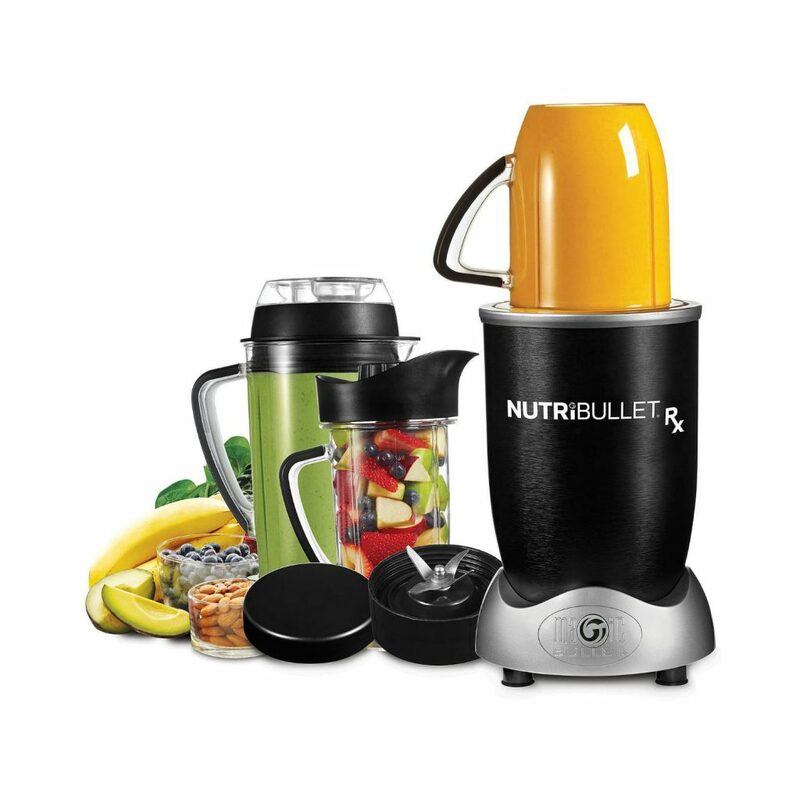 Below is a demonstration video on using the Nutribullet Rx for making a smoothie. I really like this video as it shows you step by step of making the smoothie and how to operate the Nutribullet Rx. Notice that how in this video there is no need to operate the blender at all? Just put the blender into the base, switch on the power and the blender will start automatically. This is what Nutribullet calls their hands free SMART Technology. The blender will detect when a pitcher is plugged onto it, can start the blending cycle automatically for one minute. No need to fiddle with any settings or control panels like other blenders. A very nifty function I would say! Video demonstration below shows how to make a hot soup using the Nutribullet Rx. Like the smoothie setting, making a hot soup is very easy and super convenient. But I doubt you can make a soup for more than 3-4 people though due to the small souperblast pitcher. Add all the ingredients into a tall cup and let Nutribullet Rx do its work with its SMART Tech! As simple as that. No need to keep track of time to blend or whatever. I’ve summarised the advantages and disadvantages of the Nutribullet Rx below for your easy reference. The Nutribullet Rx is a very good personal blender with high powered motor that will guarantee you silky smooth smoothie everytime. I really like its hands free SMART technology, no need to mess around finding the right button to push. Just put the pitcher into the base, push the on/off switch and the blender will run on its own. Easy enough right? But again, it is still a personal blender. Issues like too small capacity to make smoothie for the whole family and no tamper function are something that come together with any personal blender. If you are living alone or you have a small family, and you never feel the need to make a sorbet or nut butter, then the Nutribullet Rx might be it. In the end, I really suggest for you to imagine how you would use a blender before making a decision to buy any. It can be quite costly to buy something only to regret it later on (trust me, I’m talking from experience here lol). But if you are only making a smoothie for one or two people, then the Nutribullet Rx is definitely the one for you! Currently Amazon has the best offer for the Nutribullet Rx. They are offering the blender at a really sweet deal. Click the link below to check out the best offer of Nutribullet Rx on Amazon.